Beth Ann Short grew up around Great Lakes region, living in both Michigan and Ontario throughout her youth. A strong lover of art history Short’s work in fine art, as well as in her clinical role as an art therapist, radiates her desire to relate to all individuals with respect and honor. Her goal in her roles as author, artist, art therapist and educator: to support individuals honoring their creative process while providing tangible opportunities for healing and growth in any facet of their lives. MA: Art Therapy from Marylhurst University. Short is a nationally registered and board certified Art Therapist (ATR-BC) with the Art Therapy Credentials Board. She is also a member of the American Art Therapy Association. Short has shown her art nationally since the 90’s and is active in the Portland, Oregon art community. Short worked in Portland, OR in community mental health for eight years before creating her version of open studio art therapy. Since 1997, Short has experience in working with groups, families and individuals. Her clinical background specializes in Art Therapy, although Short has also been trained in traditional verbal methodologies, Family Therapy, Sand Tray Therapy and Photo Therapy. 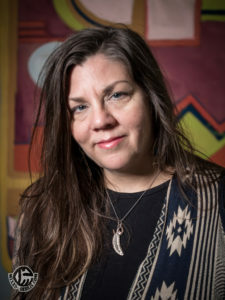 Short is also adjunct faculty at Marylhurst University in the art therapy counseling department and is available to schedule speaking engagements focused on wellness, team development and the field of art therapy. Join us for a group creative session. Work on current projects or get inspired by the weekly prompt. All skill levels are welcome. $5 studio fee.